Between the World and Me, winner of the National Book Award, is written as a letter by Ta-Nehisi Coates to his 15-year-old son. I read this book together with Ta-Nehisi Coates’ The Beautiful Struggle, a coming of age memoir about growing up black in West Baltimore, and the two are excellent read back to back. If you want to see what Ta-Nehisi Coates is all about, I recommend reading the memoir first, so you’ll have background about Coates’ childhood and family, and then follow up with Between the World and Me so you have some context. There is plenty of uncomfortable truth in these two books, and Coates does not mince words. Between the World and Me, especially, is meant to awaken America from its false Dream. I grew up in a somewhat racially diverse town outside of Cleveland and attended public school alongside African Americans, but there was de facto segregation, with blacks in their own neighborhood not far from where I lived. In retrospect, and especially after having read Coates, I see how absolutely separate and different our lives actually were. When I began reading The Beautiful Struggle, I found myself baffled by the words and phrases Coates used and many of his cultural references. I was reading a different language, the language of urban black America. The language is perhaps deliberately exaggerated in the first pages, and not decoded, maybe to act as a kind of culture shock or wake-up call to the reader. A senior writer at The Atlantic, Ta-Nehisi Coates grew up in one of the toughest, most marginalized and deprived communities in America. His father was a Black Panther who later became a librarian; his employment at the Howard University library enabled his children to attend school there tuition free. How very terrifying it is to be pulled over or questioned by a police officer if you are black in America. I think the only thing more powerful than Coates’ words are the videos we’ve seen of incidents gone wrong these past few years. I respect the bravery of police officers doing incredibly challenging work, but I’ve also been following the news in Cleveland, where I grew up, and how the police department there has been investigated by the US Department of Justice. My son attends the U. of Cincinnati, where this past year an unarmed black man was killed by a campus security officer for no apparent reason. (The officer has been charged with murder.) When the video went viral, I was chilled by what I saw, frightened for my son and anyone who might be at the wrong place at the wrong time. Coates recounts the first time he visited Paris, France. Growing up in West Baltimore, he could never have imagined such a gracious and beautiful place or that he would ever go there. It was moving to read Coates’ description of how easy it was for him to walk the streets of Paris, how differently he was treated, and how for the first time he wasn’t afraid. Coates concludes that the fate of all of us is in the hands of those with power who think they are white – he believes many, though not all, African Americans are still too disenfranchised to change the system. But he fears that we as a country will reap what we’ve sown; that our hunger for power has also meant the abuse and destruction of the earth. He fears that in the end the earth will prevail, likely at great cost to humanity. Have you read Between the World and Me or The Beautiful Struggle? What do you think of the final quote above? Please share your thoughts in the comments. Was Harper Lee ahead of her time? As most of the world knows by now, Go Set a Watchman was an early draft of what went on to become To Kill a Mockingbird. Harper Lee turned Watchman in to her publisher in 1957, and her editor encouraged her to write a very different story. Lee’s initial draft was about a young women (based on Lee herself) living in New York City who visits her Alabama hometown and clashes with the racist views of her father, Atticus Finch, and her boyfriend, Henry, in the aftermath of the 1954 Supreme Court Brown vs. Board of Education decision, which declared unconstitutional state laws establishing separate public schools for black and white students. This story morphed into the iconic novel we all know and love, set in the 1930s when Harper Lee was a child and Atticus defended a falsely accused black man. 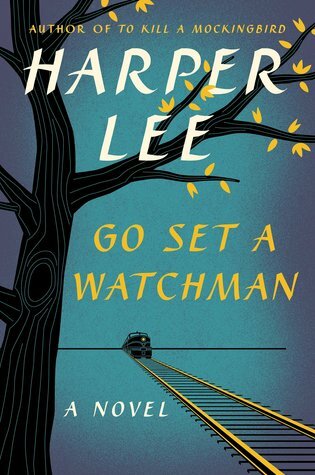 In my last post, I wrote about how Lee’s publisher has marketed Go Set a Watchman as a newly discovered novel, a sequel to To Kill a Mockingbird. This has confused, upset, and disappointed devoted Harper Lee fans. Some people believe Lee has dementia and would not have wanted this second book published. Harper Lee has stated in the past that she’d said all she wanted to say with To Kill a Mockingbird and that she would not publish again. Nonetheless, we now have Go Set a Watchman, and before I ever opened the book I decided to read it to the end because I was curious. As many have pointed out, usually a first draft of this nature is of interest only to literature scholars and writers seeking to learn from another writer’s process. Now the rest of us have the opportunity to read a young novelist’s first attempt and make of it what we will. Some things have surprised me. First, while many readers have been disappointed (as a novel it doesn’t work for me, but I didn’t expect it to), other readers are enjoying Go Set a Watchman, happy to experience more work by a beloved author. For some, Watchman is simply a good story; for others, it’s fascinating to read an author’s first crack at writing a novel; and still others see this new vision of an imperfect Atticus living in an imperfect time as especially relevant, given the racial tumult playing out in America. They find Watchman’s Atticus a more authentic, believable character than the idealized hero portrayed in Mockingbird. Much as I dislike the publisher’s tactics, I do think Go Set a Watchman is a valuable contribution to our conversation about race. In the end, I don’t think Harper Lee’s reputation will be damaged. Nothing can take away from the power of To Kill a Mockingbird. And those who are interested in the genesis of truly great literature can see, by comparing the two books, how far and difficult a road a writer must sometimes travel to craft a story that speaks to readers. It’s been said that at one point in writing To Kill a Mockingbird, Harper Lee threw the manuscript out of her apartment window in despair. There is something that I wonder about, though. Harper Lee initially tried to tell the story of a young person striking out on her own who can’t abide the attitudes and beliefs of those she loves in her hometown. Isn’t this what many of us have experienced? At the time, Harper Lee’s editor may have persuaded her that American readers weren’t ready to grapple with the provocative views held by Atticus and Henry as Harper portrayed them. I think it is a shame that Harper Lee never had the opportunity to take her initial idea and give voice to that story as well, in a more fully formed and crafted novel than the current Watchman. So much of Atticus, the fictionalized character, was based on Harper Lee’s true father. It takes a lot of courage to portray someone you love in a less than attractive light, and it takes a lot of skill. Contemporary writers of memoir and autobiographical novels do it all the time, but only a few succeed in doing it well. I’m sure Harper Lee had it in her to bring her original story to life, if she’d had the right editor and artistic support (clearly not those currently at the editorial helm of HarperCollins), but I’m not sure Harper Lee herself knew she had it in her. Many have wondered why Harper Lee never published again. After the initial overwhelm of To Kill a Mockingbird’s publication, Harper Lee granted no interviews. Though she shared with friends a list of the additional books she wanted to write, she apparently never wrote them. She said herself that she couldn’t face the intense publicity again, and that she wouldn’t be able to top To Kill a Mockingbird, that the only place for her to go was down. Who’s to say how Harper Lee really felt, but it may have been very frustrating for her if she was blocked in her writing after Mockingbird. Perhaps having her original story of a family portrayed in a less than flattering light rejected by her editor, and then being encouraged to craft a more idealized, palatable one, alienated Harper Lee from her own truth. Writers of memoir and autobiographical novels often struggle with a sense of shame as they write the truth as they see it. Often they are criticized for being self-serving or narcissistic or for violating privacy. Cheryl Strayed’s Wild and Mary Karr’s The Liar’s Club are two memoirs that come to mind which required brutal honesty and tremendous courage to write. Nowadays, there are coaches, instructors, and editors skilled at helping memoir writers, especially, write their own truth; this wasn’t so much the case when Harper Lee was writing. In Go Set a Watchman I see the seeds of an equally valuable story that may have been ahead of its time. Have you read Go Set a Watchman? What do you think? Should it have been published? Has it changed your views of Harper Lee? How do Go Set a Watchman and To Kill a Mockingbird compare, or are they incomparable? Go Set a Watchman: What do publishers and book bloggers owe their readers? I don’t have insider information about the controversy surrounding the publication of Harper Lee’s novel, Go Set a Watchman. I know only what I’ve learned from the articles and opinion pieces I’ve read since the book came out a few weeks ago. I’ve chosen to trust Harper Lee’s biographer, Marja Mills, who doubts that Lee would have wanted Go Set a Watchman published if she were fully functioning. Harper Lee had a stroke a few years ago and currently resides in a nursing home, where a guard posted at the door maintains a list of people who are allowed to visit her. Some have questioned whether Harper Lee is capable of making informed publishing decisions, especially since she maintained for decades that no further books by her were forthcoming. Go Set a Watchman was the initial draft of what would be transformed into To Kill a Mockingbird. It was problematic because it was a draft written by a novice writer learning her craft, though Harper Lee’s editor saw the talent and potential behind it. What’s more, the Atticus Finch portrayed in this first draft was not the iconic hero America went on to embrace. He was an Atticus Finch that perhaps American readers were not ready for. Lee’s editor, Tay Hohoff, mentored and guided Harper as she crafted quite a different story, the one that became To Kill a Mockingbird. Fast forward many decades. After Harper Lee’s sister, Alice, died (Alice was a lawyer who looked after Harper’s estate and protected her interests), Harper’s new estate lawyer and the publisher HarperCollins spearheaded the publication of the initial manuscript, the one Harper Lee had originally called Go Set a Watchman. The manuscript was lightly copy edited, but no substantive editing was done. Any revisions, of course, would have required consultations with Harper Lee and perhaps some rewriting on her part, which many believe she cannot do since she is nearly deaf and blind and may be otherwise incapacitated. HarperCollins has marketed the book as another, newly found novel by Harper Lee. I’ll save my opinions about the literary quality and content of Watchman for my next post. Here, I want to say how disappointed I am in HarperCollins and the current big business model of book publishing. The publication of Go Set a Watchman has been called a money grab on the part of a publisher capitalizing on Harper Lee’s name and reputation. I agree with that assessment. Back in the day, I started my career as a book editor in educational publishing, and I’ve been told by a friend who has remained in the business that I wouldn’t be happy if I’d stayed. Books must rake in the profits. Literary and other books with less popular appeal are often not supported or even published in the first place, regardless of their artistic merit. Fortunately, independent publishers, university presses, and self-published authors are filling the gap to some extent; many are committed to producing literary works of art regardless of their profit potential. I believe, too, that the publication of this unedited first draft shows a profound disrespect for Harper Lee and puts her at risk of an undeserved tarnished reputation. What if the unedited first drafts of F. Scott Fitzgerald or Ernest Hemingway or Margaret Atwood were published and marketed as new novels? Might our opinions of them as writers change? Writers, sculptors, painters and other artists have a right to their first drafts, their initial conceptions, their trial and error efforts, and they have the right to keep this work to themselves or at least have it viewed in context. I’ve been disappointed by a couple of bloggers and social media bibliophiles I’ve read, who seem to have no knowledge of the controversy and circumstances behind the publication of Go Set a Watchman, and little understanding of or interest in book editing, authorship, and responsible publishing. They are providing no context for their readers. In one case, a book lover on Instagram with many followers heaped nothing but vitriol on Harper Lee. He claimed that she “knows nothing” about race – a serious misreading of her – and seemed to not take into account that Go Set a Watchman is a dated first draft written by a young writer in the 1950s. Many of this Instagram-er’s readers thanked him for steering them away from the book and seemed to take his indictment of Harper Lee at face value. Sometimes I’m ambivalent about being a book blogger, though most of the time I believe blogging is valuable. I was educated as a journalist, I was a book editor for a highly regarded book publisher that produced quality work, and I was paid for the editing and writing I did, with the expectation that I’d maintain the highest standards. As bloggers, we can write whatever we want, with no one to fact check or edit our work. That’s the beauty of it – no gatekeepers, the opportunity to express ourselves, explore our passions, and share them with others. But there is a down side, too. All of this said, I believe the publication of Go Set a Watchman will turn out to be a good thing, as you can likely tell from the opening quotes I’ve chosen. More about that in my next post. Please share your thoughts about Go Set a Watchman. Should it have been published? And if you’ve read it, what do you think? If you find this post valuable, please share it so more readers can join in the discussion! Barnes & Noble in Rochester opens at 7 am tomorrow for the release of the story Harper Lee originally tried to tell. I expect, wherever you live, your local bookstore will have plenty of copies of Go Set a Watchman on hand. Maybe we weren’t ready for the book in 1960. Lee’s editor set aside Go Set a Watchman and worked with Harper for 2 years as she wrote To Kill a Mockingbird, the book we grew up with. I’ll be talking about Go Set a Watchman here and on my FB fan page. I would love for you to join in the discussion. But be prepared to be shocked by a very different Atticus Finch. If you like your memories about To Kill a Mockingbird just the way they are, then this book probably isn’t for you. Please share this post with your friends so we can get a good discussion going on Books Can Save a Life. I’ll be kicking off comments at the end of July, so go buy or borrow your copy of Go Set a Watchman now and get reading! Bad Feminist? Good Feminist? Anti-Feminist? Where do I begin? 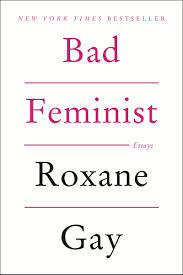 It’s hard to know because Roxane Gay covers so much ground in her collection of essays, Bad Feminist. Her voice is unmistakable: hilarious, informed, opinionated, eloquent, vulnerable. What a great read for a book club, especially if your club is diverse in terms of race, gender, political persuasion, and economic status. (Or are book clubs of such diversity scarce?) Oh, the discussions you’ll have. Roxane Gay is a black woman, a feminist (a darn good one), a Ph.D and professor, a single woman of a certain weight, a liberal, a fan of reality TV and rap music, a best-selling novelist and author. She’s tired, because she does all these things – Roxane admits as much, but as one of those driven people she says she can’t stop. She writes about all of this and more in her essays. Occasionally she leans toward the shrill, but mostly not – Roxane is very good at getting you to think while entertaining you at the same time. For certain, you won’t always agree with her, but you’ll have plenty to mull over. Her writing is so, so timely in light of the discussions we’re having in this country about race. Roxane recounts movingly what it’s like to be the only female black professor in her academic department. She dissects her reactions to movies such as The Help and other depictions of race and racism in entertainment, discussions I found nuanced and enlightening, and sometimes difficult to take as I recognized myself in some of the attitudes she highlights. I had chosen not to see The Help when it was released a few years ago, because I’d read an opinion piece by a black woman who said all the women in the movie who are racist are nasty, while all the women who are not racist are likable–when in fact it had been her experience that many people who were racist were the nicest people you’d ever meet. Roxane highlights these and other kinds of stereotypical and overly-simplistic portrayals in a number of popular TV shows and movies. Recently Yahoo CEO Marissa Mayer took a lot of flak for criticizing feminism. Yet look at what is happening in the tech world, with apparent widespread discrimination against women who are coming up in their careers. One would think things would be better for younger women but that doesn’t appear to be the case. I have to admit that at one time I would not have considered myself a feminist, though not anymore, especially given that I’m startled by how much ground women have lost in this country. Being of a certain age, I’ve come to respect much more than I did what the first and second wave feminists accomplished for all of us. I’ve been concerned, too, when I’ve not heard more of an outcry from younger women over recent trends. So it’s a relief to read Roxane Gay’s take on all this. Did I say I think you should read Bad Feminist? Have you read Bad Feminist? What did you think? I’ve ordered a copy of Laudato Si’, Pope Francis’ encyclical on climate change. It is available from Amazon and other booksellers, and you can download the pdf at this link: Laudato Si’ . I’ll be writing about it here in late July, mostly from a secular perspective. Why don’t you read it with me – I welcome your thoughts, faith-based or otherwise.